The website for the Scottish writer and broadcaster Billy Kay, and for Odyssey Productions, an independent audio production company. "...whole new tracts of Scotland have been opened up for broadcasting thanks to him. He has shown us images of ourselves that don't conspire with the prevailing media image - half pantomime, half Hollywood - and he has shown us that we can and do speak naturally and easily in a language of grace, dignity and power. Much of his work has been moving, delightful, even inspiring." 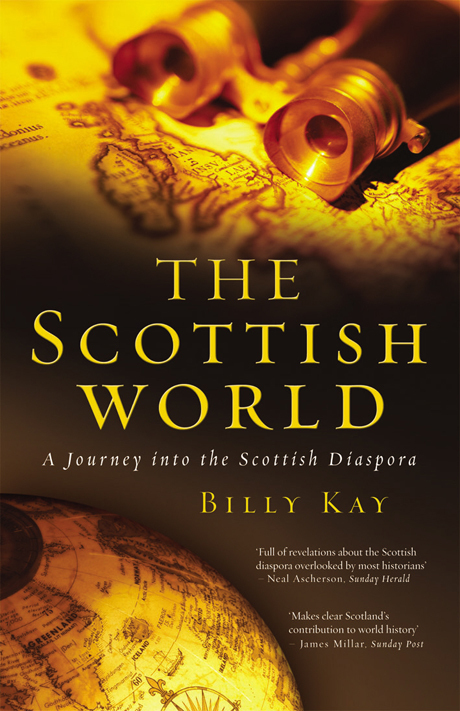 As a producer and presenter, Billy Kay´s award-winning programmes on Scottish culture, history and language have graced the airwaves of BBC Radio Scotland, Radio Netherlands World Service, RTE Ireland, CBC Canada, ABC Australia, BBC Radio 2 and BBC Radio 4 UK, Channel 4 Televison, Scottish Televison, and BBC Television Scotland. He is also the author of seminal books such as Scots: The Mither Tongue and his latest labour of love on the Scottish diaspora The Scottish World. His passion is Scotland, and he loves to communicate that passion at home and abroad through talks, seminars, speeches, events with his favourite traditional musicians, and of course radio documentaries. Billy warmly invites all of you, fellow citizens of the Scottish world, to explore his website, and to get in touch about any aspect that interests you, your society or your group.